The Conestoga trailer is manufactured by a company called Aero Industries. The trailer is specifically designed for special shipping as it features an innovative sliding tarp design that covers your precious cargo without damaging anything underneath. This is a big benefit to shippers as it protects the finish or moving parts on your goods and equipment by making it unnecessary to move them in and out of a dry van or container. Conestoga trailers are beneficial as your load is covered by a durable tarp-on-frame cover that rolls backward. Your cargo is accessible from three sides of the trailer, which is a benefit in itself. Items are very easy to get to and unload due to the access of the trailer, easy to load and easy to unload. How are Conestoga Trailers Used? These trailers are used for a wide range of scenarios. Specifically, Conestoga trailers are used to ship massive loads that need specialized shipping. That could reference machinery, heavy equipment, mining equipment or anything else that needs that type of shipping option. It doesn’t matter what type of large object you want shipped, you don’t want it damaged. Nobody wants to receive damaged goods, especially an item that cost big money. 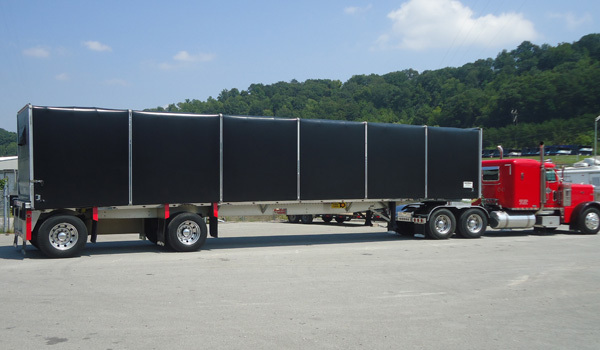 These types of trailers are becoming popular and utilized for a number of different shipping options. Loading is easier, unloading is easier, saving you time, money and effort. That’s what I personally like about them. While I don’t ship much large items or specialized loads, I know friends that do and they swear by the trailer. Finally having the opportunity to be close to the trailer as I was today, I can see why so many people are switching to them. Conestoga trailers are perfect for loads that can’t be shipped in dry vans or other container-type flatbed trailers, due to size considerations or loading/unloading needs. These trailers are perfect for items that need flatbed trailer shipping, but have to be protected from the rain, snow or sun and from damage due to road debris, dust or contact with unsupported tarps. 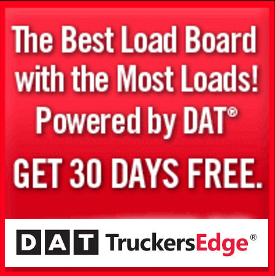 If you’re a flatbed truck driver, you know how tough it is when you run into weather. Sure, certain locations give flatbed drivers an advantage while others are hell just due to the unforgiving weather. It’s not just snow, rain, wind and ice. The hot sun can damage your haul too. The Conestoga’s rolling tarp-on-frame system is specifically designed for protecting oversized and specialized loads, keeping them safe from the elements without compromising delicate machinery, paint, finishes or other features of your cargo that might be damaged if a tarp is simply thrown over the load. In the video below, you’ll get to see the Conestoga 2 in action.